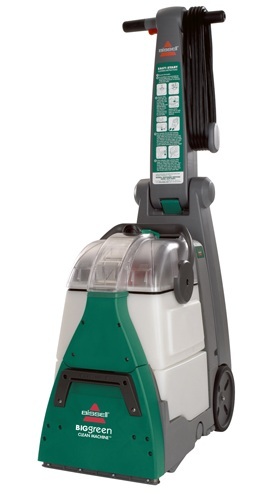 For a lot of households, having a good carpet cleaner for home use is all that is needed for clean carpet maintenance. However, sometimes, professional help can be make sense. In those cases, choosing a good professional carpet cleaning company to clean and maintain your carpets is vital. There are many who claim to be experienced carpet cleaners and have left their clients hanging with carpets that were overly wet or just plain still unclean. Everyone claims to be reputable and to be the best in the industry. Sadly, this is not true. There are fly-by-night companies that do more harm than good to homes and business offices. Here are some tips to take note of on how to choose a professional carpet cleaning company. Learning from the experiences of others is a good way to filter through the bad cleaning services. Ask for referrals from your friends or neighbors. Ask them which professional carpet cleaning company they hired, and how they liked the job. It is not enough to rely on referrals though. What may be best for other people may not be good for you. Besides referrals, check out review sites like Yelp or Angie’s List. Take a look at local pamphlets and see if the company has client testimonials or online reviews. Compiling a list with 3 to 5 professional carpet cleaners is good way to start. Get their estimates for what you want to be done with the carpet. Professional carpet cleaning companies charge differently from one another. The variations in their prices can greatly affect your budget. Settle for a fee that is within your confident spending zone. Expensive prices do not mean better services. But cheap prices do not necessarily mean poor services too. Ask how they charge for the services. There are those that charge per room. Others charge by foot area. In consideration of the price, many carpet owners fall victim to what others call as bait advertising. In their ads, you will be tempted to accept their low service charges. Once you’ve hired them, you’ll be caught in a price trap. The carpet cleaners will suggest a different method of cleaning the carpet for which they charge higher than what is advertised. Avoid this by asking them what you’ve only seen in the advertisement. If they refuse to do so, send them off. You can always contact a better carpet cleaning company than them. The money you are going to pay for the services is hard-earned. Let it not go to waste. When hiring a professional carpet cleaning company, ask what the price covers. Some companies charge differently if they are going to move the furniture that will obstruct their cleaning tasks. Third-party reviews and testimonials are good sources of information. They usually contain the pros and cons for a specific professional carpet cleaning company in review. They present what makes it better than others while also stating facts that make it inferior to others. The internet is a great resource to find carpet cleaners reviews. Once you decided which company to hire, you should readily ask for a quotation. It will help you prepare for your bill. It is also your protection against overcharging. Let the company know your desired cleaning method. Two options are popular today. Choose from either hot water extraction or hot carbonation. The first one is known as steam cleaning while the later uses dry chemical techniques. 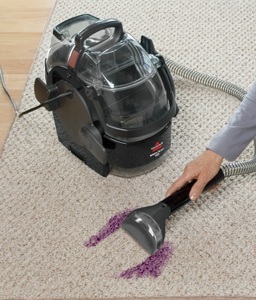 For more information, check out this article Choosing The Right Carpet Cleaning Methods. Choosing the right professional carpet cleaning company can help make your carpet last longer. If you have engaged well-qualified experts, they can also provide you with individualized tips for your carpet health. Be sure to take time to consider who you hire.